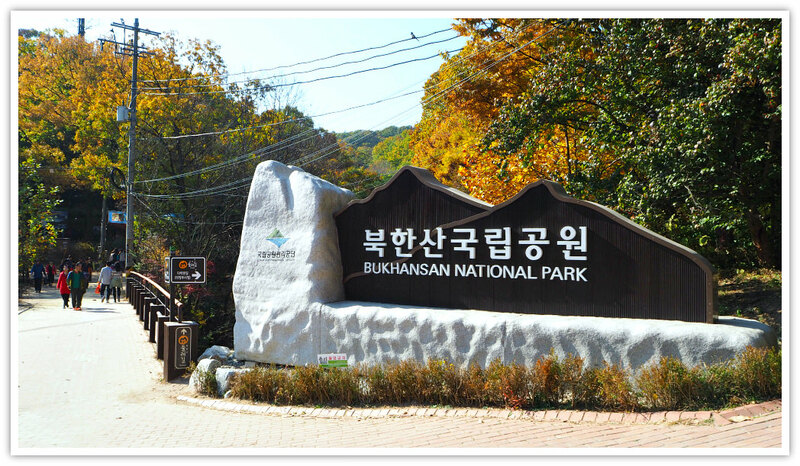 Bukhansan National Park is a mountain range in Seoul that expands towards Gyeonggi Province. It has been designated as a national park (in 1983) due to its spectacular features and as an ecological treasure. Bukhansan Mountain has an area of 79.9 square kilometers stretching over Seoul and Gyeonggi-do. The national park is divided into two areas: Bukhansan Mountain to the south from Uiryeong Pass, and Dobongsan Mountain to the north. This mountain is valuable as it supports over 20 million residents and flora and fauna in it. 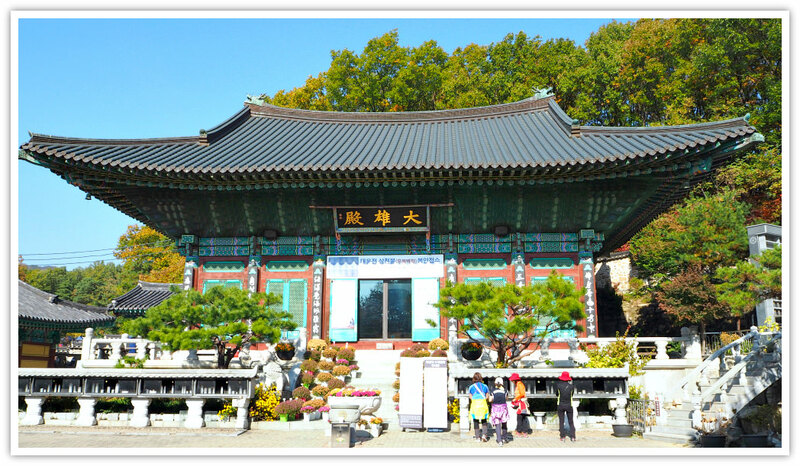 Trivia: Bukhansan supports over 1,300 flora and fauna, and has over 100 Buddhist temples at strategic places. Bukhansan is a favorite mountain among locals who hike (or climb) its spiny, rugged, and challenging but invigorating environment. The park has some gorges, granite summits, and potable fresh streams. Bukhansan is one of my favorites and one of the mountains I first hike in South Korea. Not only because it has various and fantastic courses but also because I used to live just a few kilometers from its foot. Exploring the mountain with my colleagues, I learned that doing so is healthy (for both my mind and body) – we usually bring with us lunch box, a bottle of water, an apple or kimbap. The number ‘three’ or ‘triangle’ is a very symbolic number that it is being used in Korea’s poetry, triangle-shaped mountains, defense areas in the past. That number is highly popularized through Korea’s three kingdoms: Baekje, Shilla, and Goguryeo – as popularized in computer games with similar names. Other spectacular mountains in Seoul which form part of the whole Bukhansan National Park include the mountain peaks of Eunpyeong-gu, Jongno-gu, Seongbuk-gu, Gangbuk-gu, and Deokyang-gu of Goyang City, Gyeonggi-do (Province). Insubong Peak was used to be called ‘Buaak’ Mountain which is thought to be the epicenter of Seoul. However, among the three peaks of Bukhansan National Park, Baegundae (which rises to 837 meters high), and Insubong (811 meters high), particularly belong to Goyang City rather than in Seoul City. Presuming this is your first time to explore South Korea’s mountains or national parks, you will learn that there are specific trails, or shall I say designated courses or mountain trails, that you can easily follow so that you won’t get lost and fall into dangerous paths. Korean mountains are easy to explore not because they have those trail pointers but also because many of them have stairs and railings built. Mangyeongdae (Mangyeongbong Peak) is about 800 meters high. However, to its peak is approximately over a kilometer long. Along with that trail, you will see unusual rock formations such as the Pig Rock, Love Rock (heart shaped-rock), Piano Rock, among others). To its west, you will see Noryeongbong, Wonhyobong, Yeomchobong, Yeomchobong, Suraksan, Bulamsan, and Cheonma Mountain. This departure hiking course includes the Right-hand Course. This course is created, usually based on the more natural trail as experienced by regular hikers, for Yeongbong (about 600 meters high), Baegundae, Mangyeongdae, and Doseonsaengol. 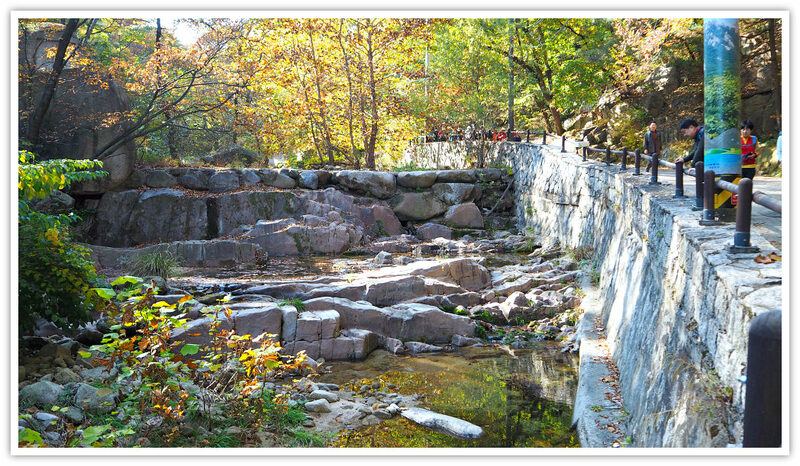 Baegundae, the most popular one, is about 2.1 kilometers from the parking lot which is next to Doseonsa (Doseon Temple). This is the shortest route you can take for Baegundae Peak. 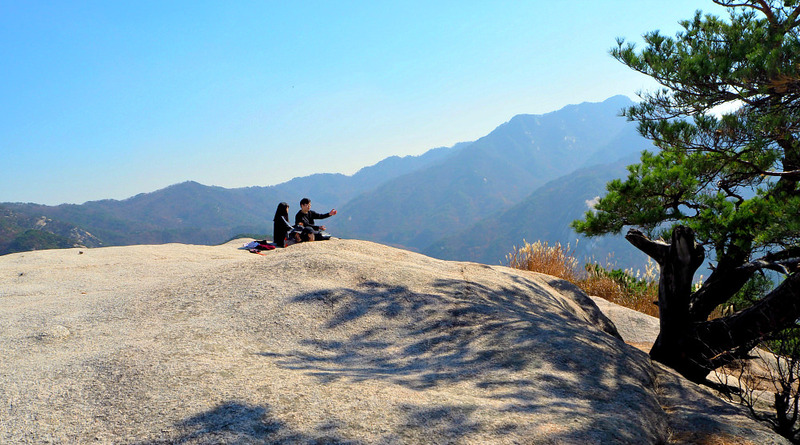 Once you are on top of Baegundae, where most hikers stop and rest, you should enjoy its height and take advantage of viewing the surrounding spectacular sights as far as your eyes can see. Of course, you can replenish your energy by consuming your prepared food and drinks supplies. 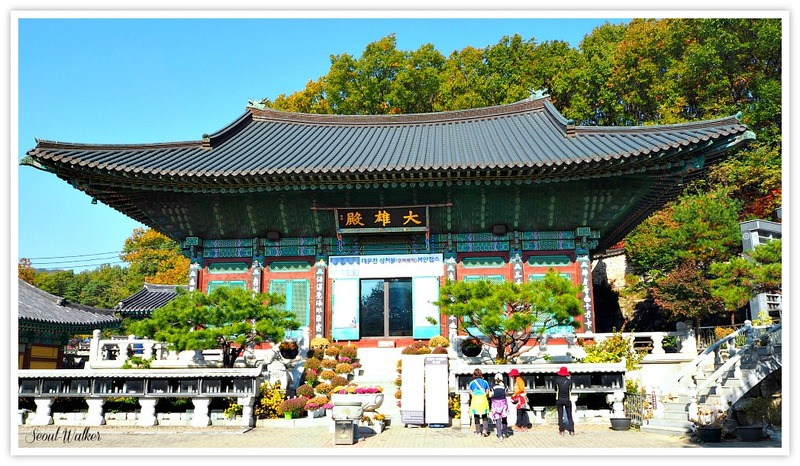 Baekwoon Navigation Support Center just above Doseonsa Temple: Harujae – Baekunsanjang – Uimun – Baegundae Peak – are the usual route which you can take from Uidong. This is the shortest route, around 2.1 kilometers, to the summit of Baegundae. 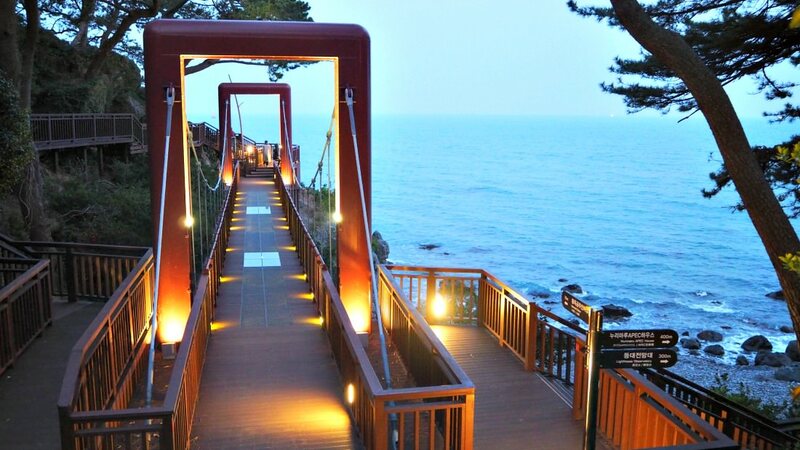 Enjoy the thrilling route of Mangyeongdae Horit-gil. Nowadays, however, you will feel a bit safer (not exciting anymore to thrill-seekers!) steps or stairs and railings are installed to keep hikers from falling into the ravines on both sides of the route. 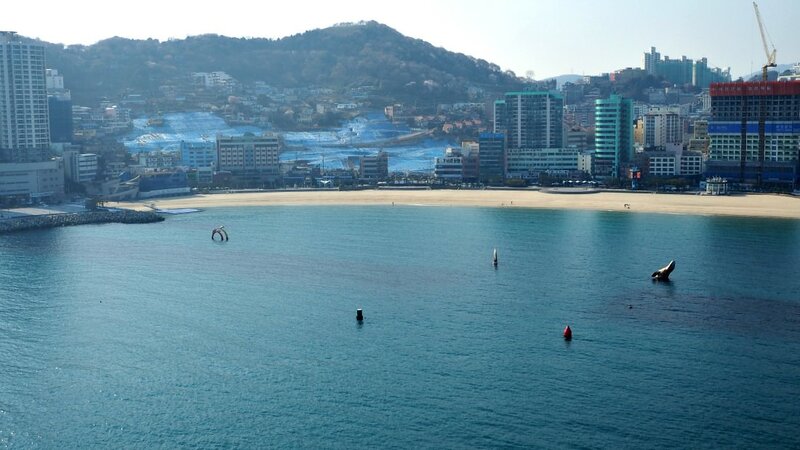 During clear days, you can see the West Sea, but you can anyway see the Nojeokbong, Yeomchobong, and everything around. 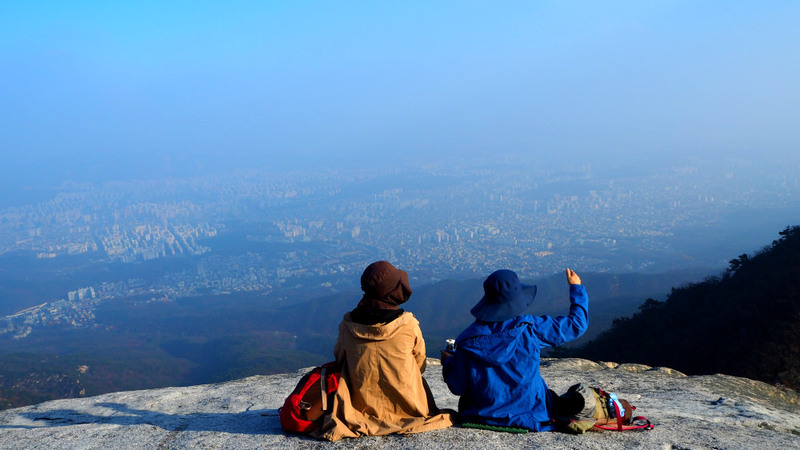 Bukhansan Hiking Support Center – Sangwoonsa – Wonhyobong – Bamgol Valley: from Wonhyobong Summit you can see Yeomchobong and Baegundae, Mangyeongdae, and Nojeokbong’s sights. You can go to Yeomchobong Ridge and Bamgol Ridge (Yangcho Bukhang Ridge), but the trails are quite challenging and dangerous for beginners. Bukhansan National Park has one of the most accident-prone peaks in the country – Baegundae Peak. It has the most accidents not only because it has the most challenging trail but because it has the most number of visitors as recorded in the Guinness Book of World Records. Note: Stray cats can be found living on top of Bukhansan Mountain National Park. It is a phenomenon that can be easily understood as these creatures can survive in this environment throughout the four seasons. The number of these cats has increased as they reproduced their kind but feeding only on what they can catch in the mountains, hikers’ extra food, or on some hikers who feed them. Although feeding them is not allowed most hikers took pity on them. Since you have already learned enough about Bukhansan National Park, you might be interested in hiking it from any point. To help you out, you may use the guides below for your convenience. 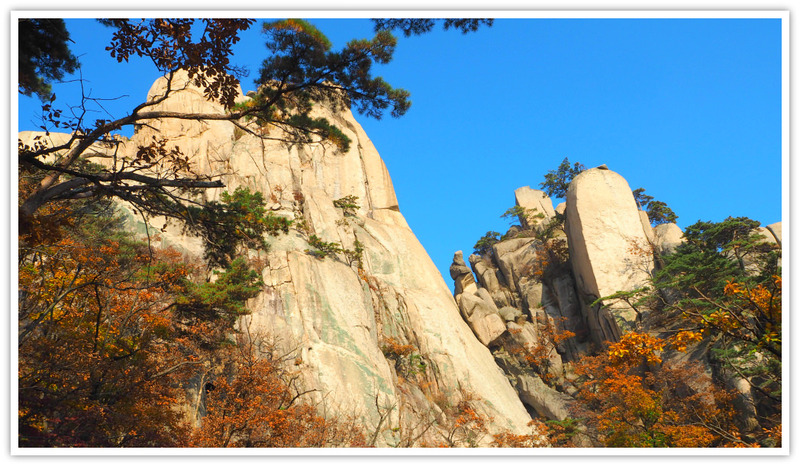 Wonhyobong Peak is one of Bukhansan National Park's best mountains to explore due to its spacious plateau area. For further information, you may use the following information. These are the officially designated offices for South Korea’s national parks. South Korea’s national parks are well-organized and equipped with facilities to support and help hikers enjoy and keep safer. The following facilities can be found at this dedicated website. Wondobong Parking Lot 1. This lot can accommodate only around 27 Cars. Wondobong Parking Lot 2. This can accommodate up to 45 Cars. The peak season for Bukhansan starts from May to December. It means that the fees and rentals for the parking lots, campsites, shelters, and other facilities increase during these months. For example, for a campsite, an adult pays 2,200 KRW during off season but raises to 2,700 KRW during peak season. Aside from the above facilities, Bukhansan National Park also offers photo taking for profit for the local government. Such photo taking includes photo shooting and filmings – such as films, TV dramas, C.F., and VTR. Hope this helps your search and useful for your travels or hiking plans at Bukhansan National Park.